What is BlackBerry OS? | Blog Papoi Blog Papoi: What is BlackBerry OS? If you find yourself browsing casually through a 3 store, wherever you are in the world, you will not have failed to notice that, for business users especially, one of the most prominent and popular 3g phones is the infamous BlackBerry, developed by the Canadian-based telecommunications equipment firm “Research in Motion” (RIM). BlackBerry devices have been around for many years, but what makes this versatile little range of smartphones tick? The answer is the BlackBerry Operating System (OS), the fundamental program installed on all these devices, which loads when you switch it on and then manages the running of all the other programs (or apps) on the phones. BlackBerry OS enables multitasking with smooth and highly responsive efficiency. A word about multitasking might be useful at this point. In actual fact, most PCs are not really “multitasking” when users have opened several programs at once; instead, what usually happens is that a single program, the one the user is actively engaged in at any moment, is active and then becomes inactive when the user flips to another program. There is nearly always a time delay involved in switching from one program to another, even if it is quite small. However, the BlackBerry OS dispenses with all that by being genuinely multitask-capable, it really does allow several programs to run simultaneously without compromising on performance. Instead of suspending other processes while the user focuses on one, it allows all of them to “take turns” at running and it does so at such a high speed that they all appear to be running in parallel. The BlackBerry OS achieved business fame largely through its native support for corporate email services and WAP 1.2. It permits total wireless synchronisation with major business email services such as Novell GroupWise, Lotus Domino and Microsoft Exchange. In addition, when used with BlackBerry Enterprise Server, the software package that enables connectivity with these services, it synchronises calendering and contacts as well as notes and tasks. The first version of the BlackBerry OS made its appearance on the world stage in 1999 and was designed to operate the Pager Blackberry 580. Three years later, in 2002, Blackberry OS 3.6 emerged, coinciding with the launch of the new smartphone, BlackBerry 5810. 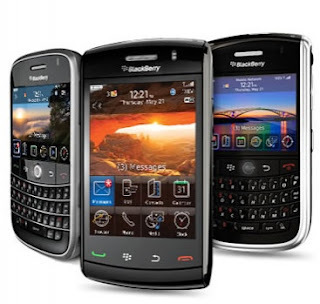 RIM was busily developing a new version, however and in August 2011, Blackberry OS 7 made its debut on the company’s new range of 3g mobiles, the Blackberry Curve, the BlackBerry Torch and the BlackBerry Bold. Most popular apps are compatible with Blackberry’s OS from version 4 onwards. With the advent of BlackBerry’s move into the tablet market, in September 2010, RIM introduced its new Blackberry Tablet OS, a QNX-based platform not related to the company’s previous mobile operating system. This is the platform behind the new BlackBerry PlayBook Tablet and it is widely expected that the QNX format will form the basis of the forthcoming BlackBerry 10 OS. This is scheduled to hit the market towards the end of this year. Blackberry OS 7’s addictively ingenious “Augmented Reality” feature enables users to read reviews on any restaurant they pass by or to get information on an historic building or landmark they are standing in front of, just by holding up the device and scanning the scene with the camera. All the items on the screen will automatically be overlaid with any available information. The system’s new “Near Field Communication” (NFC) technology enables users to wirelessly hitch up with any other NFC-enabled gadgets with one simple tap; you can exchange photos, music, movies, documents, BBM and contacts with this feature. OS 7 has also revamped the BlackBerry Browser; it loads pages 40 per cent faster than its predecessor and allows users to flip between websites in the blink of an eye – or a swipe of the finger to be precise - with its Multiple Tab Browsing feature. Panning and zooming on this new browser is a dream. Virtual socialising has been hugely simplified thanks to the new Social Feeds app, with BlackBerry users now able take a look at all their texts, emails, BBM messages Tweets and Facebook friends from one readily accessible point on the smartphone. The unified inbox pulls them all together in one place, meaning that no message, social feed or update need ever be overlooked again. The new system makes for a sumptuously high definition visual experience, too, thanks to the high-resolution screen, a lightning-quick CPU and a mighty new graphics processor. Response times are virtually instantaneous and the animations are gloriously smooth and fluid. Not only that, but with OS 7 you really have no need for a separate HD camera, because it includes a full HD 720p video recording feature and a superb digital camera for stills. Photos can easily be uploaded to YouTube, Twitter and Facebook, while it is also possible to connect to a games console wirelessly, so you can share your photographic genius with admirers on the big screen via the system’s Mobile Media Server. If typing commands laboriously onto the keyboard is not really your cup of tea, OS 7 will spare you the tedium. Its voice-activated controls are second to none, allowing you to browse the web, locate contacts, listen to music, dictate texts and search for files, simply by speaking your wishes out loud. You will also get more life out of this fine 3g specimen, because OS 7 includes a clever battery-saving app, which automically cuts down on power when it is not required. It will even overcome those frustrating occasions when you urgently need internet access but cannot find a WiFi hotspot; the Mobile Hotspot feature on the smartphone will create one, provided you have access to a 3g network, giving you full access to private internet cover on your tablet or laptop. Finally, if you want to listen to a little music and are feeling a bored with your playlists, just fire up the excellent FM tuner and listen to whatever takes your fancy - from Gardener’s Question Time to Chris Moyles.